WordPress is the most popular Content Management System in the world today. WordPress enables its users to share both dynamic content and static content via posts and pages respectively. 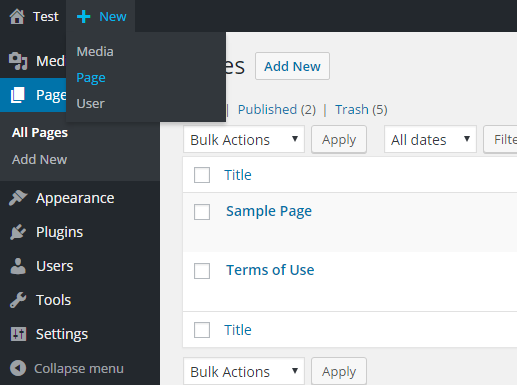 This is a strikingly important feature in WordPress and it has enabled for easy managing of websites. However, If you want to use your website completely as a static CMS, then the new plugin Disable Blogging is here for you. The new Disable Blogging plugin developed by Fact Maven Corp. and Ethan Jinks O’Sullivan allows users to turn off the blogging feature in WordPress. Posts, Comments, and other blog related menu items are removed from sidebar and toolbar and redirected to Pages menu. Pingbacks, trackbacks, XML-RPC, Windows Live Writer and all other feed links are removed. User profile page is simplified. Press This Bookmarklet and Posts via email. Additionally, the plugin also hides the Dashboard completely from view. So, it can be quite a novel and jarring experience as most of us are so used to it. I am yet to test this plugin, so if you want to see what it looks like, you can check out this link. The good thing about Disable Blogging is it stays true to its name. It does not delete or remove any of the data and information and only hides the blogging related functions. Users can disable the Disable Blogging plugin and get on with their old interface should they not find it to their liking. In conclusion, Disable Blogging is a nice plugin that does the job it claims to. If you have a website with not much of a blogging area, this should help you with making your website to your liking. Have anything to say? Please write it in the comments.